One of the key secrets to unleashing your gardening success is taking advantage of benefits that nature offers! Using mulch in your gardening isn’t mandatory, but it’s a good habit that provides incredible benefits. 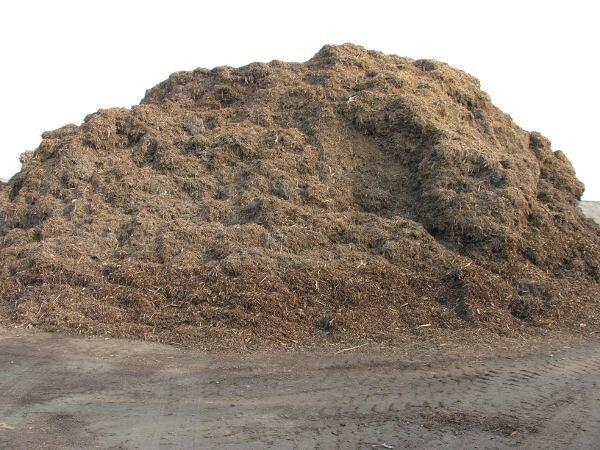 At Whittier Fertilizer, we’ve harnessed the finest materials available to create an all-natural three-inch cover mulch mixture that’s perfect for any need. Our three-inch organic cover mulch mix is designed to work in commercial and residential settings alike. The ground cover looks incredible to the eye without the unpleasant scent. 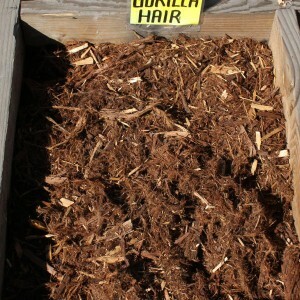 The uses for organic cover mulch are endless. Different colors and textures can be used to define certain areas in your landscape. 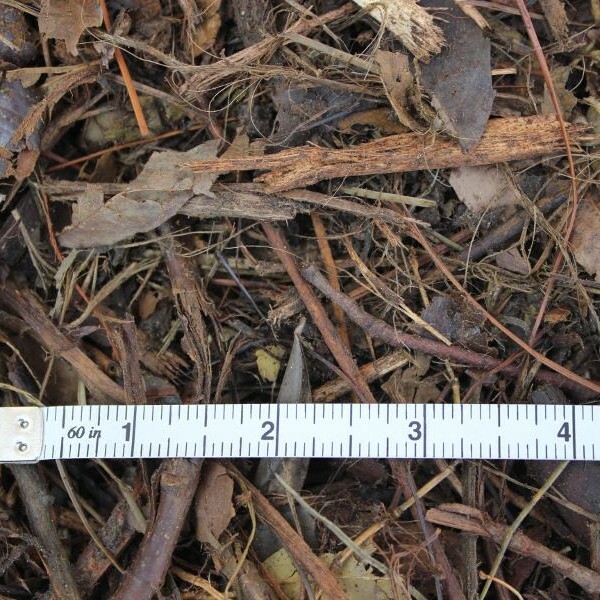 To maximize the benefits, we suggest using three-inch cover mulch as the depth of your ground cover. Discourages weed growth. Before covering the landscape with mulch, it’s essential to weed the area before hand. Once the mulch is distributed, it’s easier to prevent and discourage weeds, which steal nutrients and space from other plants. Retains moisture. The texture of compost and clippings will naturally retain moisture from rain and when you water it. This keeps the ground moist and prevents the soil from drying out too quickly. Moderates temperatures. 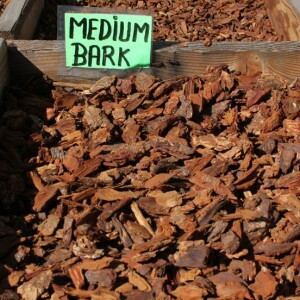 Three-inch cover mulch is a perfect insulator for the ground that houses the roots of your plants. By preventing temperature fluctuations, cover mulch keeps the garden in healthier condition. Provides nutrition. 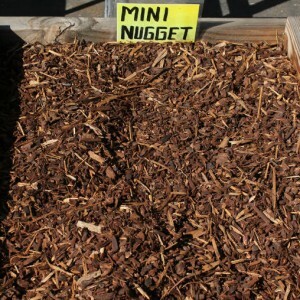 Because mulch is composed of natural clippings, it provides nutrition to the garden as it naturally breaks down over time. Think of this as fertilizer the way that nature intended it. Prevents erosion. 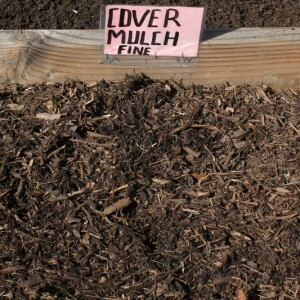 Cover mulch prevents erosion of the valuable soil and nutrients from your garden. It also provides healthy irrigation as well as aeration for the benefit of your plants. Unifies your landscape. Using the same texture and color of cover mulch throughout your landscape provides a cohesive look that will impress even the most ardent outdoor enthusiast. When using cover mulch, we suggest distributing a three-inch layer over the ground. Three-inch cover mulch provides the bulk needed to maximize all of these benefits. Without enough depth, benefits such as moisture retention and temperature moderation might not be feasible. 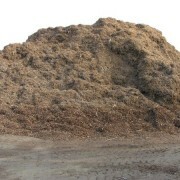 However, three-inch organic cover mulch delivers the capability of accomplishing these benefits. At Whittier Fertilizer, we are committed to both quality and customer service. When you purchase three-inch cover mulch from us, you know that it is made from the finest materials possible to enhance your experience. Because we mix all of our products in house, you can trust that quality control is kept at the highest standard possible. Since we work with clients ranging from large gold courses to small backyard gardens, we have the experience to fulfill every need. When you use Whittier Fertilizer, you’re not just getting quality mulch; you get personal and customized service! 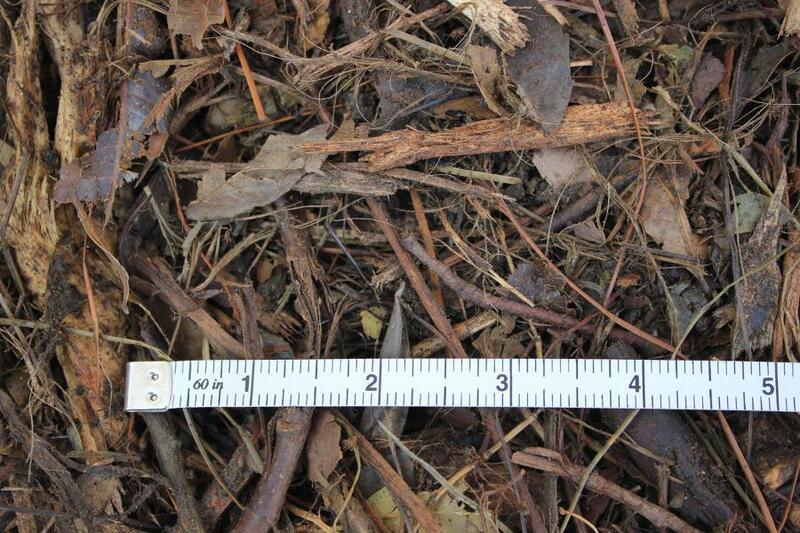 Hi, what do you mean by 3″ cover mulch? What would you suggest to replace my current turf in my front yard? I will have water-wise plants surrounded by mulch, and was told I need to spread it about 3″ deep. Thank you! Claudia, 3” means the size of the mulch. We have a smaller size that is ground to 2”. Both products perform the same, just a different look. For a 3” layer, you need 1 cubic yard for every 100 square feet you are covering. How much will it cost me if I order 10 cu. yard and be delivered at El Monte CA. How much will it cost me if I order 10 cu. yard to El Monte CA. Can you deliver 10cy to East Los Angeles by this Friday, 4/18? Can I order by phone using a credit card? Richard, no problem to deliver by Friday and credit card over the phone is fine. What is the price for your cover mulch?